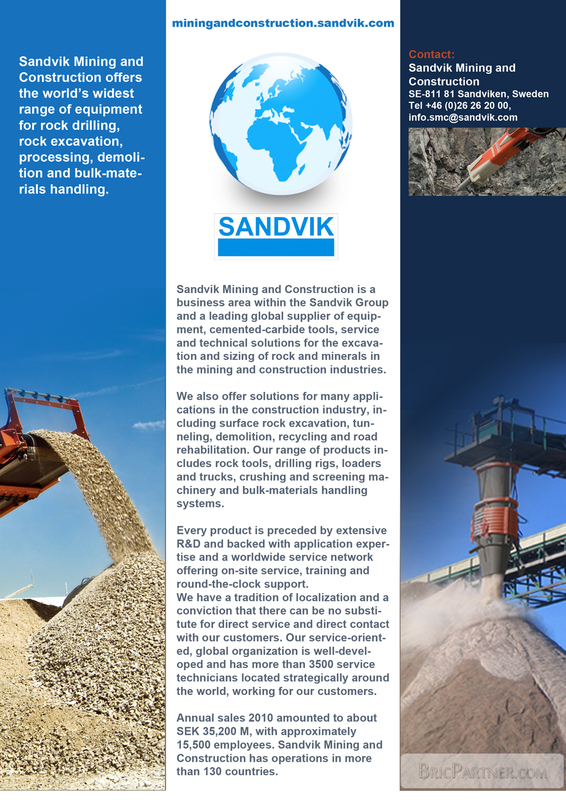 Sandvik Mining and Construction do Brasil S.A.
Company name : Sandvik Mining and Construction do Brasil S.A.
PUNE, Sandvik Mining and Construction Sandvik Asia Pvt. Ltd.
Company name : PUNE, Sandvik Mining and Construction Sandvik Asia Pvt. Ltd.